Catch Me If U Can Fishing Charters offers remarkable value with the number one charter boats around, traveling daily to Sanibel, Fort Myers Beach, and Captiva. We provide the best fishing trips in the Fort Myers area and our repeat customers agree. Our competitive fishing rates go hand-in-hand with the best fishing in Fort Myers and the surrounding barrier islands. All rates are based on 3 people. $50 each additional person, with a max of six people per fishing guide. 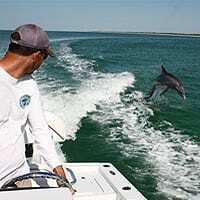 Enjoy a relaxing cruise near Sanibel and watch dolphins play in their natural habitat. Cruise to Mound Key in EsteroBay. Prehistoric Native Americans created this island’s complex of mounds with an accumulation of seashells, fish bones, and pottery. Mound Key is believed to have been the ceremonial center of the Calusa Indians when the Spaniards first attempted to colonize Southwest Florida. 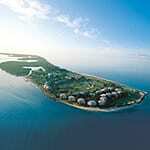 We provide outstanding Sanibel Island fishing charters at reasonable prices. If you are planning on fishing Fort Myers during your vacation, we’ve got private, guided fishing trips for all anglers. Our native Florida guides have the experience and knowledge necessary for a fantastic fishing trip. If you don’t see the trip you had in mind, give us a call and we will create a custom trip with fishing rates that work for you. Trip prices include bait, tackle and fishing licenses (based on three people). There is an additional charge of $50 per person above three people.Gratuities are appreciated and are customarily 15-20% for excellent service. Any scheduled trip may be cancelled at the discretion of the captain due to weather or any other circumstances. All deposits or pre-payments are refundable on any trips cancelled at the discretion of the captain. This does not include trips cut short due to rules, violations, or inclement weather. Guests cancelling a charter outside of 14 days prior to scheduled trip may receive a full refund. Guests cancelling a charter within 14 days to 48 hours prior to scheduled trip may apply deposit toward future charter. Guests cancelling a charter within 48 hours prior to scheduled trip will be charged for full charter.